Grading mode selector: You can switch between the different grading modes available on the drop down menu. Grade name: LiveGrade shows the name of the currently applied grade. Grading node controls: Here you find all the nodes for a certain grading mode such as CDL color controls, 3D LUT loading node, saturation etc. Each node can be individually disabled by un-marking the blue check box. Filter configuration: You can temporarily bypass color or show the original signal (no filtering at all) or enable the false color mode. The Panel Lock button lets you lock the controls on the 3rd party hardware grading panel. It can prevent accidental modifications of the current grade. Using the «Neutral» button you can reset all settings to a «neutral» state. Using the «Reset Colors» button you can reset the color settings to a “neutral” state. The command «Bypass Color» allows you to bypass the undertaken settings in the color controls and show the image from your input device with only the 3D LUT (CDL and LUT modes and ACES modes) or the Alexa tone mapping (Alexa Grade mode) applied. By selecting the «Show original signal» button you can replace the graded image displayed on you monitoring device by the original image coming from your camera device. The False Color button displays the false colors within your image on the monitoring device. LiveGrade supports different grading modes designed for specific camera setups and workflow environments. The new node-based design allows you to disable and reorder individual filter nodes to have greater grading freedom. You can disable a certain node by unchecking the blue check box. Have in mind that the processing order is from «top to bottom» when reordering the nodes. Each mode allows different levels of grade customization, as the compatibility of the grades down the workflow creates some restrictions on how the color information has to be processed. For example, the camera compatible grading modes can have the nodes locked in a certain position to ensure the compatibility of the grade when being uploaded into the camera. The grading modes allowing the greatest level of customization are the Advanced and Freestyle modes, which are only available in LiveGrade Pro. More information in the article Using the CDL Grade mode. Allows you to add and reorder multiple nodes on advanced workflows. This mode is only available in the LiveGrade Pro version. A mode adapted to the ACES standard. More information in the article Using the ACES grading mode. This mode is only available in the LiveGrade Pro version. A mode adapted to the ACES standard. Allows you to add and reorder multiple nodes on advanced workflows. This mode is only available in the LiveGrade Pro version. This mode is designed to create .xml ALEXA Looks compatible with ARRI ALEXA cameras. More information in the article Using the ALEXA Looks grading mode. This mode is designed to create .aml AMIRA Looks compatible with ARRI AMIRA cameras. This mode is designed to create 3D LUTs and looks compatible with Panasonic Varicam 35 cameras.This mode is only available in the LiveGrade Pro version. This grading mode has been created to allow complete grading freedom. For this reason, there are some limitations on the available export formats for looks created on this mode. This mode is only available in the LiveGrade Pro version. This grading mode has been created to allow complete grading freedom for ACES based workflows. This mode is only available in the LiveGrade Pro version. * xCDL, xSat, where «x» means multiple nodes. * For a list of the Look export combinations available, please check the article Exporting Grades. The CDL node contains a color wheel for Offset, Power and Slope. It can be used to adjust the color on the image. The size of the color wheels can be adjusted in the Preferences menu. Just choose a size that fits your display resolution. 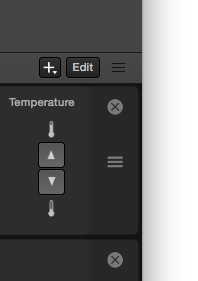 Additionally there are the Temp and Tint buttons to easily adjust these values. 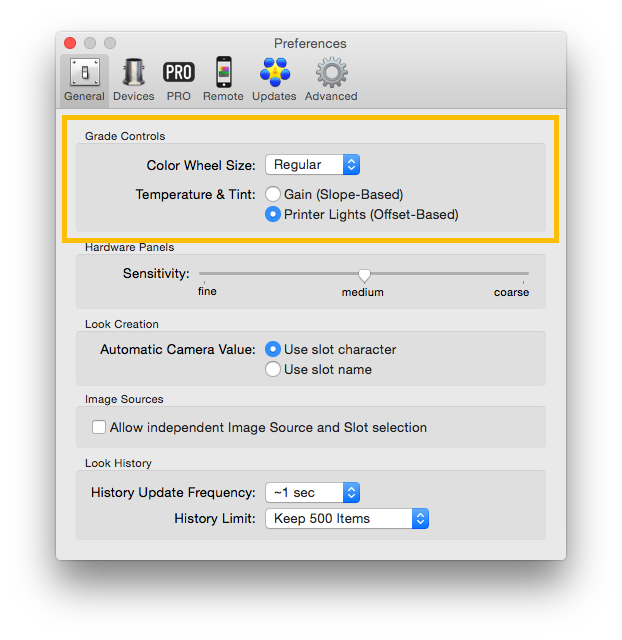 The tint and temp can be adjusted on the Gain (Slope-Based) or on the Printer Lights (Offset-Based), as set on the preferences (figure 6). When set to «printer lights» it is usually used with LUT. On the other hand, when set to «gain» it behaves as a typical white balance filter. Just drag the slider to either side to increase or decrease the saturation on your look. The 3D LUT node is designed to load your own 3D LUTs by pressing the «Load…» button. Alternatively, you can also use one of the available preset 3D LUTs to convert the image to a Rec.709 color space. The 1D LUT lets you load your own 1D LUT file. Click the “Load…” button and select the 1D LUT you want to load to the node. In contrast to the curve node the LUT in the 1D LUT node can not be edited afterwards. To add a point just click on the curve, and in order to modify it’s value just drag and drop. To remove a point simply move it out of the curve editor’s window. 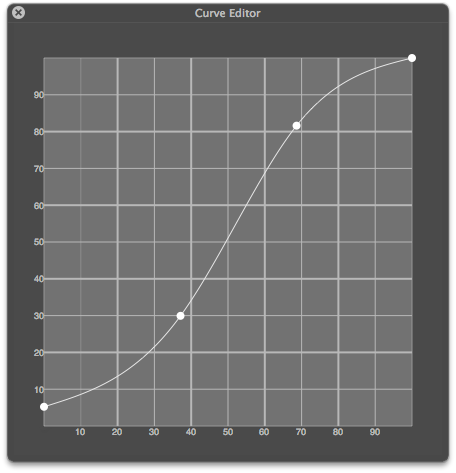 When you move your mouse over the curve editor, the graph shows you the value of the exact point where it is. 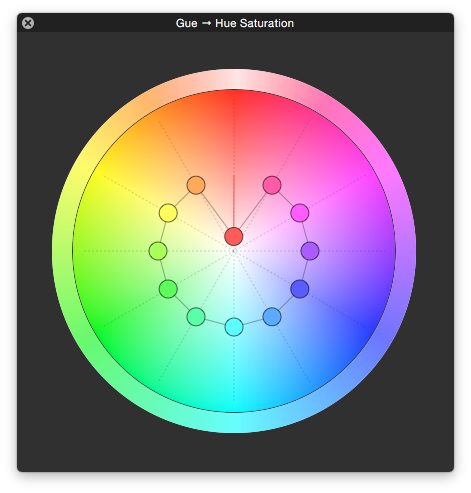 The HHS editor allows you to drag and drop the hue circles to another location on the color space to replace the original color with another one.